One of the most extraordinary documents in the history of books and one of the unique monuments to book art in general was originally in the possession of Philip the Good, duke of Burgundy (1419-1467). 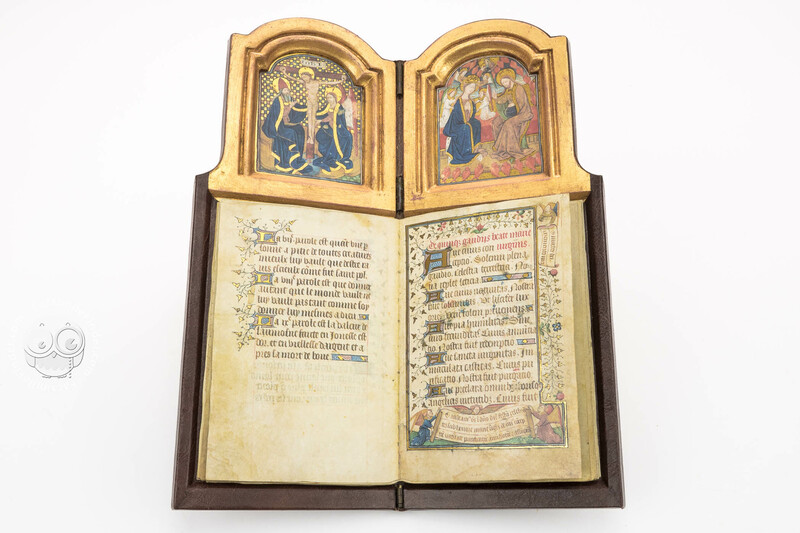 This curious codex is a combination of a panel diptych and a book, in one and the same object. Contemporary panel paintings and miniatures show Philip in prayer before an open book but also before an open diptych. 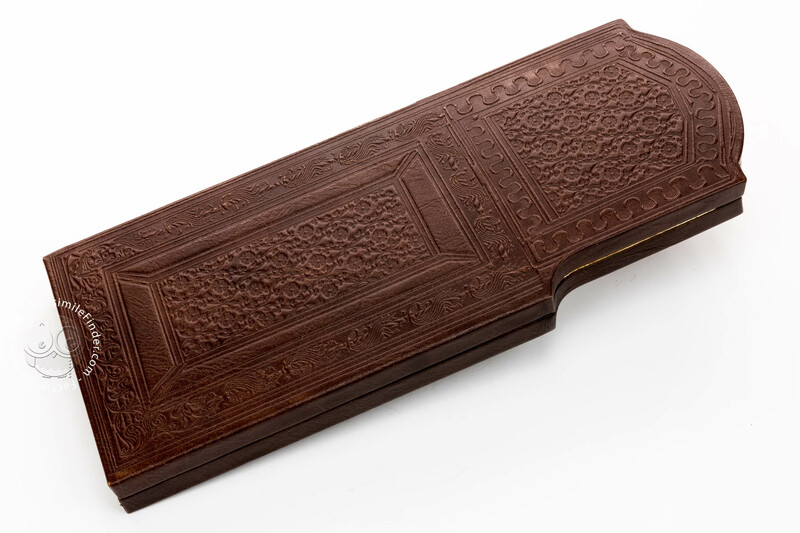 The little book altar enabled Philip to have a devotional object at hand whenever he needed it which was especially designed for his convenience. The princes of the Late Middle Ages usually possessed two or three main residences but were absent for quite some time every year. If they wanted to exert their rulership they had to move from residence to residence and regularly tour even the most remote corners of their land. This mobility proved to be very important for the dukes of Burgundy as their realm was still young and their rulership needed to be imposed in all parts of the country. However, this also was a very tiresome task as Burgundy consisted of a number of areas which were not geographically related. So the ruler often had to cross a foreign land, especially the kingdom of France, to reach certain parts of his realm. During these journeys, the duke did of course not want to do without prayers. Day after day, year after year, Philip the Good made his devotions before this magnificent unique work of art during his travels. 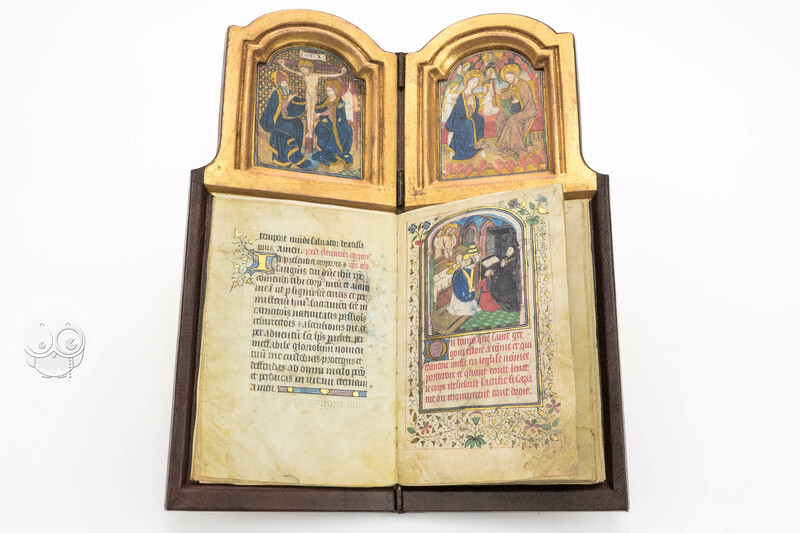 The miniatures of the diptych date back to around 1430 and are thus about 20 years older than the miniatures of the book portion. This means that Philip had two existing devotional pictures integrated into his book altar when it was commissioned. It can be assumed that they were so precious to him that he wanted to have them before his eyes every time he said his prayers and therefore had them integrated into the devotional book. The private character of this book altar is revealed both in text and illustration of the codex. 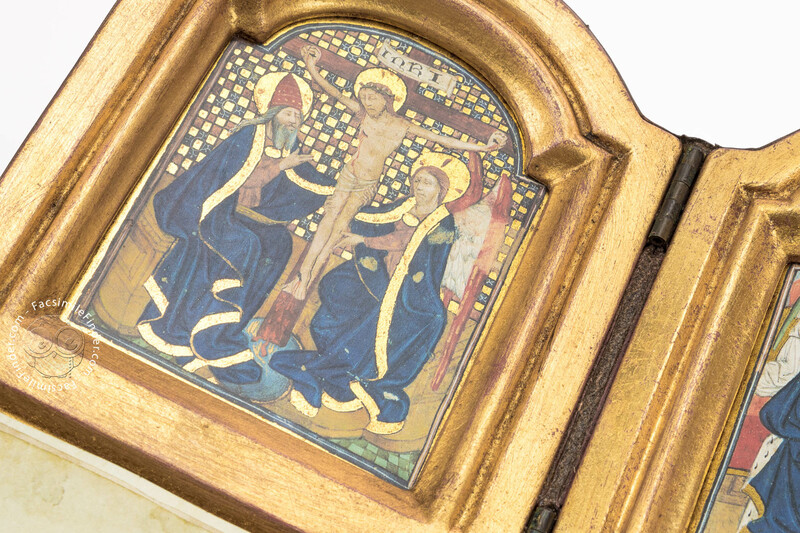 Special importance can be attributed to the subject shown on one side of the diptych, the Trinity. In fact, Champmol Abbey in France, dedicated to the Trinity, was the burial place of the dukes of Burgundy. The contents of the prayer texts is equally typical of the ruler. Among others the manuscript contains prayers to Christ the Redeemer, psalm verses extracted from the Devotions of St. Bernard of Clairvaux and the Passion of Christ according to St. John. 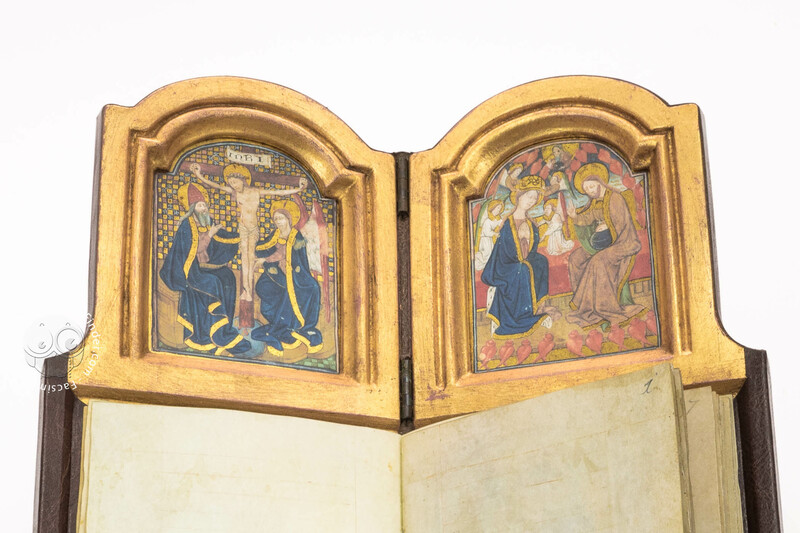 There are of course prayers and devotional texts dedicated to the Virgin Mary who appears in this manuscript as madonna of the ears of wheat, a symbol which stands for the liberation of Jerusalem from the hands of the Muslims. The selection of texts fascinates more through its reference to the duke than through its size. This work has the merit to reveal the personality of a late medieval prince in a way where usual history books would fail. 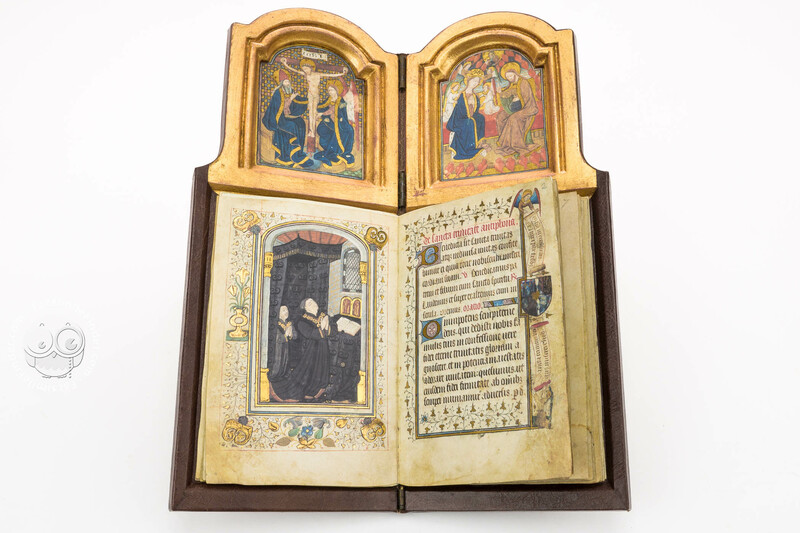 When opening the little book altar, the spectator's eye immediately grasps the two miniatures of the diptych which are integrated in an extension of the two wood panels of the book. 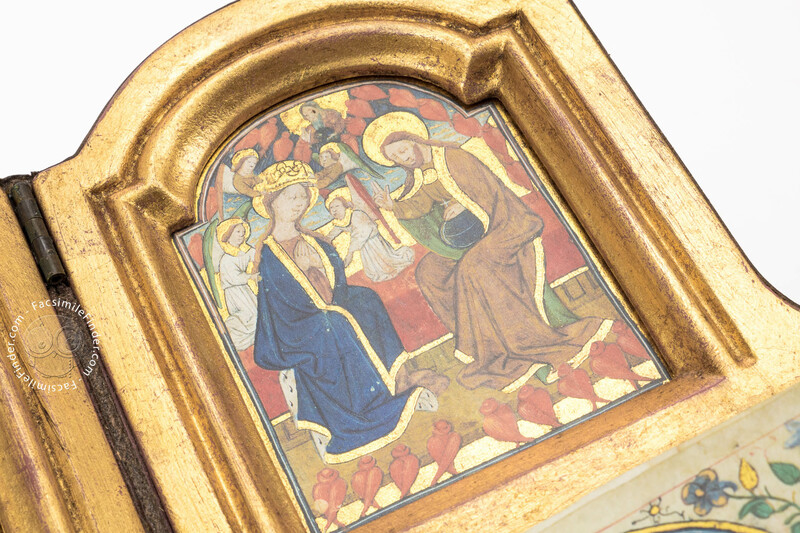 While the front cover shows the Trinity, the back cover depicts the Coronation of Mary. Both depictions were made in the International Gothic style. The miniatures of the codex itself are the work of a painter of a later generation. Especially the first double page contains numerous references to the user of the book altar, as it shows the emblems of the House of Burgundy. In addition, it exhibits the personal arms of Duke Philip. There are furthermore two angels who instead of a coat-of-arms carry banderoles with inscriptions to the Trinity. None of the miniatures in this work of art has ever been attributed to a certain painter. Always at Hand The far-reaching travels of the duke left evidence in the book which shows traces of pilgrimage badges on the first and the last leaves of the manuscript. These badges used to be sewn into the hat or on clothings of a pilgrim as a reminder of a long journey. In the Late Middle Ages, such badges were also sewn into the readily available devotional books. 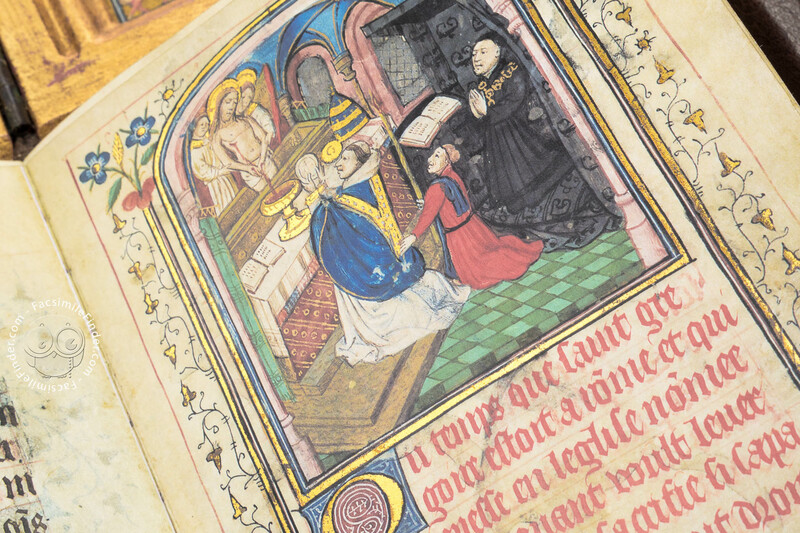 In all the miniatures of the prayer book, Philip appears in prayer, either on his own or together with his son Charles, either in a Gregorian Mass or in veneration of different saints. The codex was written in magnificent Gothic Textura; initials of various size and embellished endings provide a most rich ornamental decoration. 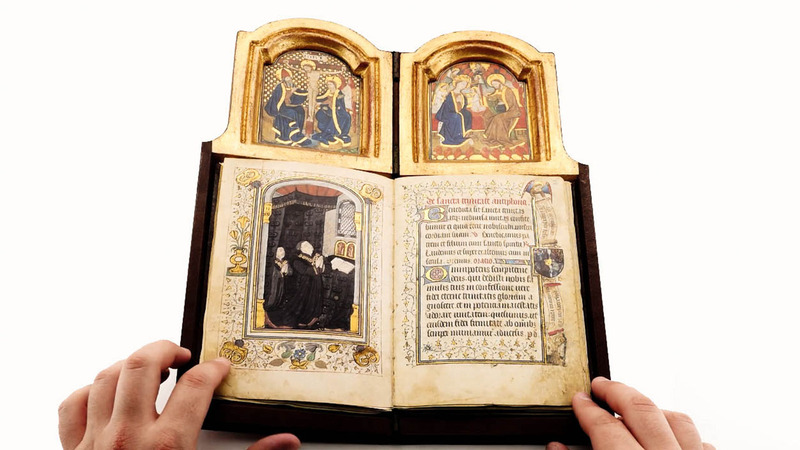 The book altar's purpose was twofold: it should be a wonderful work of art on the one hand, made for a pious man praying for the mercy of God, and a personal document of a prince on the other, whose court was considered the most luxurious of the Occident of that time. Lavishly decorated with magnificent blind tooling and sumptuous ornaments such as brocade patterns and interlacings. Manuscript book on parchment − 35 × 14.2 cm − 76 pp. Full-size color reproduction of the entire original document, Book Altar of Philip the Good: the facsimile attempts to replicate the look-and-feel and physical features of the original document; pages are trimmed according to the original format; the binding might not be consistent with the current document binding. 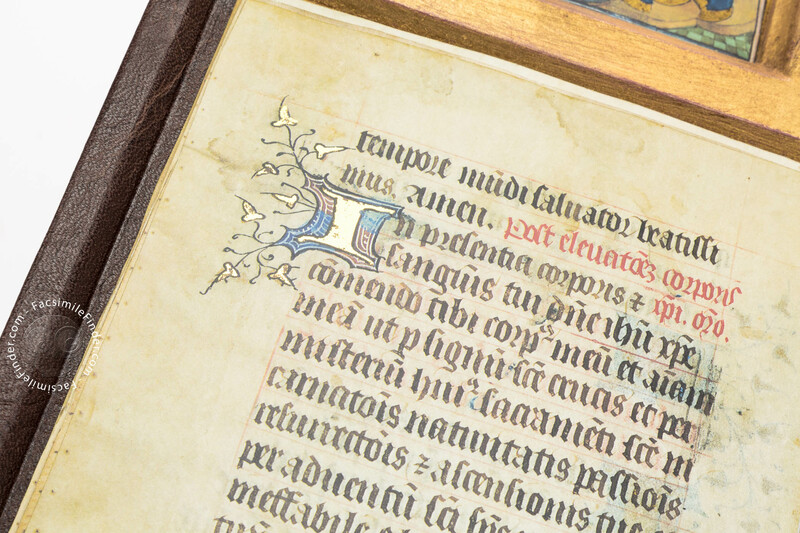 On more than 200 pages, the scientific bilingual commentary to this facsimile edition guides one through the world of the book altar and its owner. 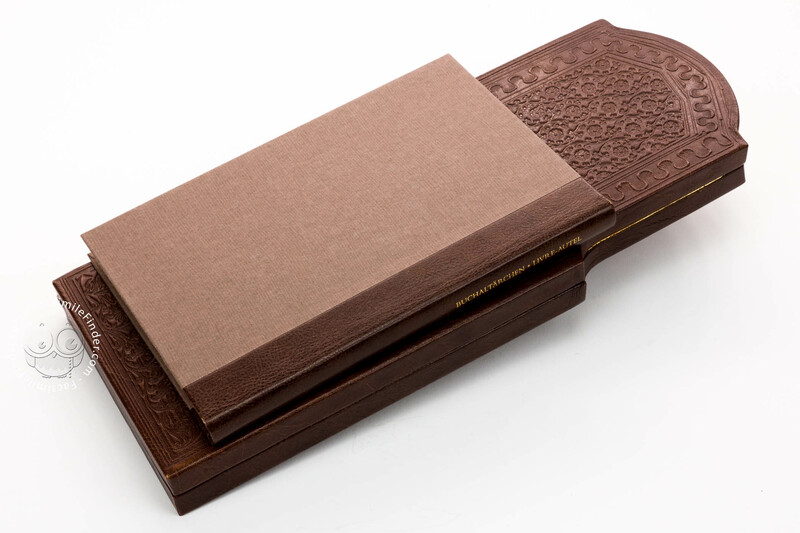 The wooden panels of the binding, held by sturdy hinges, are bound in brown kidskin leather and decorated with blind embossing. The diptych was hand-gilt.